My next Skinny book page was created for Heather, whose theme is "Women Who Dared". My first thought was the first modern dancers who created different dance moves that didn't look like ballet. 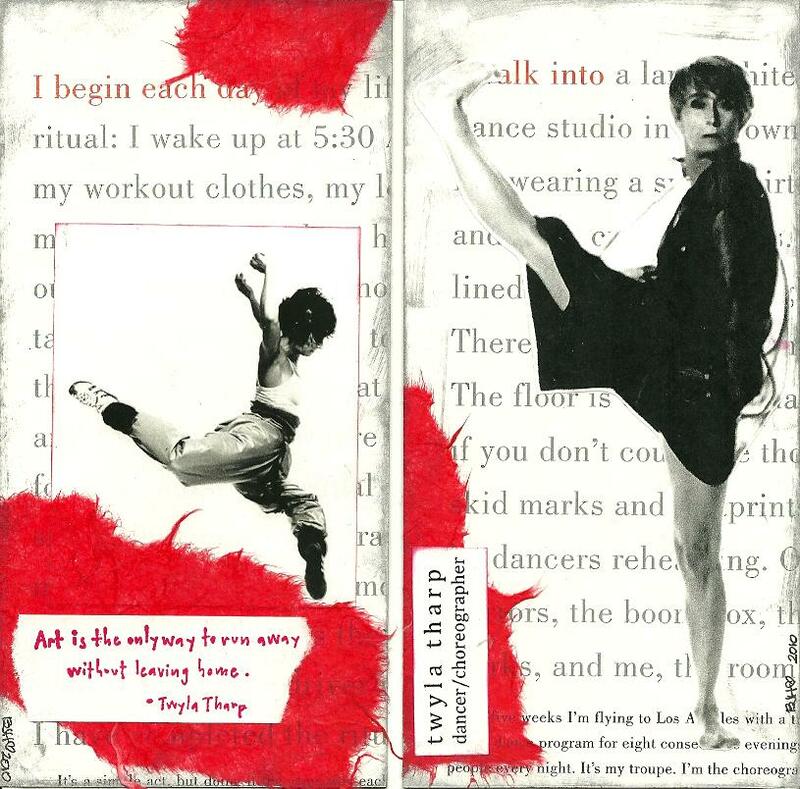 I thought about Martha Graham and Isadora Duncan, but finally chose Twyla Tharp since I recall her influence on my early choreography efforts. I kept the look modern and sleek in black and white with a splash of red, because I felt it represented her. Hope Heather likes it!